Have you always wanted to bring your dog to work with you? Well now you have the perfect excuse because June 23rd is Bring Your Dog to Work Day! 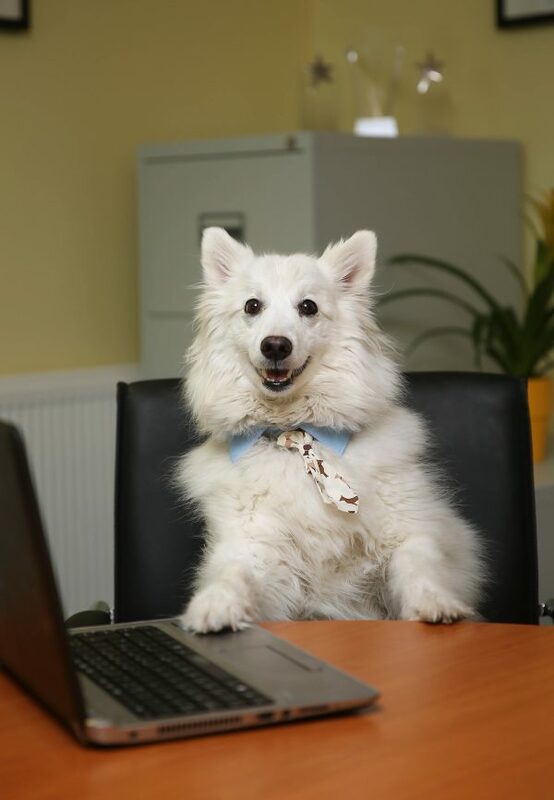 As part of their exciting new campaign to make Ireland more dog-friendly, Dogs Trust, Ireland’s largest dog welfare charity, is celebrating ‘Bring Your Dog to Work Day’ and is calling for workplaces around Ireland to celebrate with them! Dogs Trust is offering a limited number of goodie bags to workplaces welcoming dogs to their premises on the 23rd June, and will even be calling into some of the some of the dog-friendly workplaces on the day with some tasty treats for canine colleagues and their humans too! Don’t worry if you have never had a dog in your office before. Once you sign up to take part, Dogs Trust will send you out a welcome pack, including helpful hints and tips that will ensure the day runs smoothly for both workers and pooches. Does your employer needs some more convincing before you are allowed to bring your furry friend to work with you? Perhaps when you explain the benefits of having a dog in the work place, your employer will be more receptive to the idea! Research suggests access to dogs boosts morale and reduces stress levels, whether people have access to their own pets or other people’s. Stroking a dog is proven to elevate the production of happy hormones, serotonin and dopamine, which in turn lowers blood pressure and reduces stress.